This work is a mixed assemblage with a music box movement inside. 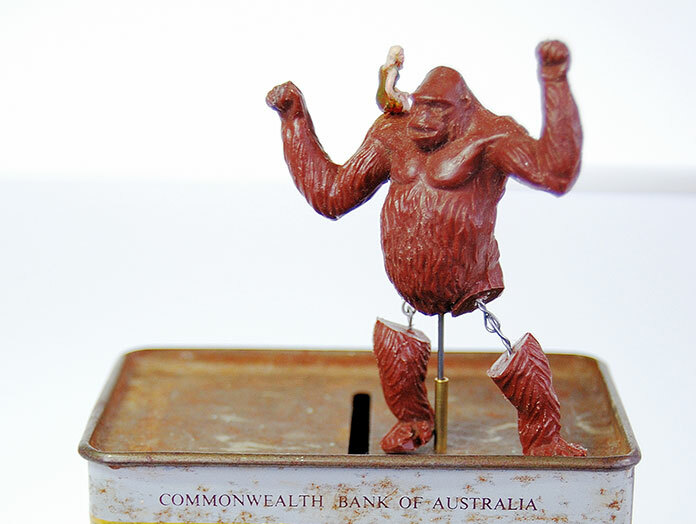 The work is made from a vintage Commonwealth Bank money box and plastic toys. 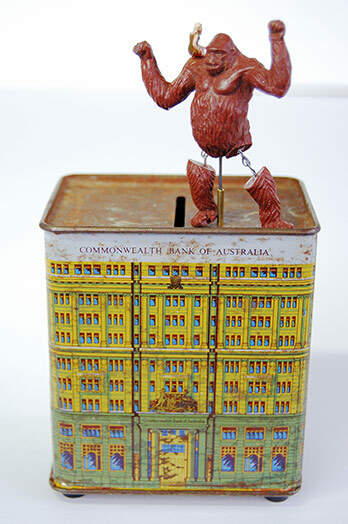 On being wound from underneath, the music box plays while a gorilla dances with a tiny blond woman on his shoulder. The work is an affectionate homage to the (now) primitive mechanics of the 1933 classic film King Kong and his female companion played by Fay Wray. It is also an ironic take on the disasters of the financial institutions in recent events.